Axxys Evolution ia a new range of Axxys Stairparts. This range firmly targets the market leading Fusion stairparts range from Richard Burbidge, the Axxys Evolution system is available with contemporary Chrome or Brushed Nickel fittings. Here you can see the optional satin nickel fittings together with oak handrails and newel post sections. 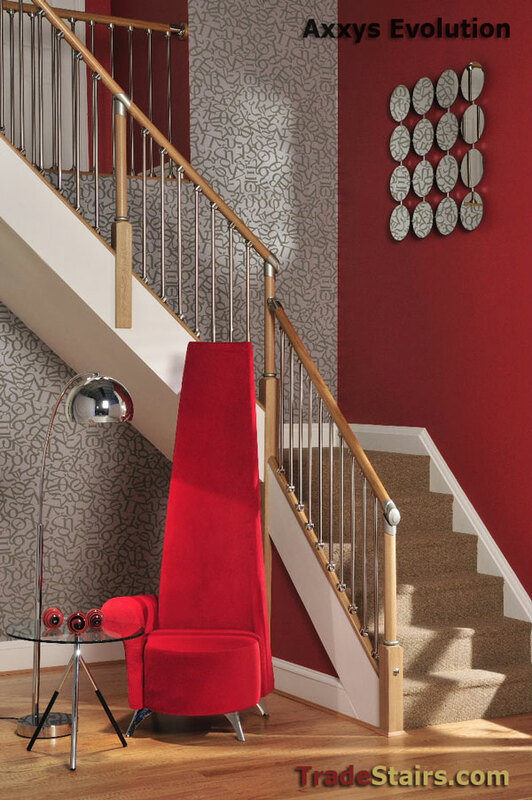 Axxys is a superior range of stylish stair parts that can create a stunning staircase centerpiece to any home. Designed for ease of installation, the stair part systems suit most domestic stair pitches between 38_ and 45_ with handrail heights of 900mm for the stair rake and the landings. With timber components in pine, oak and beech options and with metal connectors and balusters in chrome and nickel finishes, the axxys range has the versatility to suit any interior and sit comfortably with both contemporary and traditional dÃ©cor. Axxys is now available on our online shop or you can contact us for a quotation, email your requirements to us sales@stairplan.com . 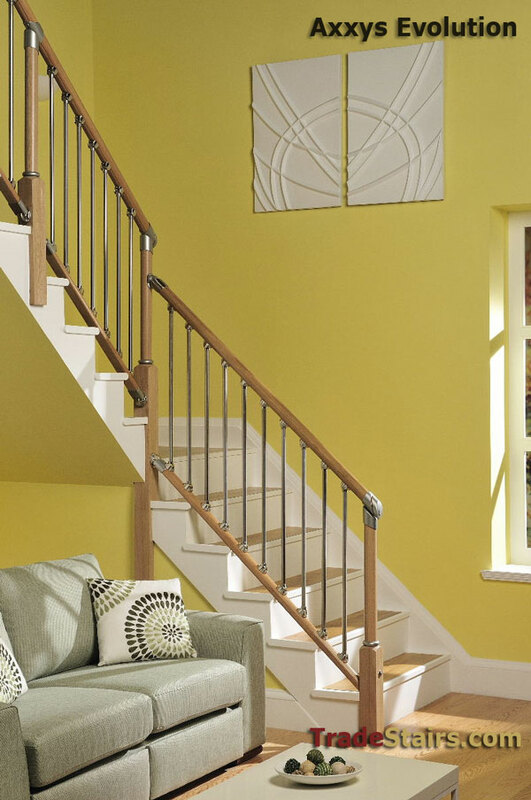 Come and see us - when you are investing in a new staircase it is a very permanent feature its nice to see something before you buy it - whilst we dont have everything on display coming to visit us will give you an idea to the quality of staircases and stair balustrading we can offer you and we may have something to inspire you.